Do your students struggle to complete and turn in all their homework assignments? Do you want to keep them accountable for missing assignments? Do you want your students to turn in 100% of their homework? I struggled for many years to find a solution that worked best for my students and I. How do I get students to do their work? How do you get students to turn in their assignments? How much is the right amount of homework? After reflecting upon my teaching practices and how students would respond to certain homework policies and situations I found solutions that worked. First, I stopped "giving homework". Instead I would set out 10-15 minutes of class time to let the students work on what I would assign as "homework" and call it "classwork" to students. This "classwork" time is mandatory and students are required complete the assignment or finish it for homework. Most students would finish it in class and have no homework! Students that didn't finish would be required to finish at home. Did all the students finish in class? No. So I had to come up with some other solutions to get to 100% homework turn in rate. These are solutions to the homework problem. Try one or all of them to meet the needs of your students. 1. Homework Excuse Slips. Have you tried homework excuse slips? I've tried them and determined they did not work for me. After two quarters I found that I was wasting printing paper for students to tell me "I forgot" or "I just didn't do it". It wasn't a solution, it just gave the students the feeling that they were justified in their excuse. My goal of the excuse slips was to get students to see what they weren't doing and to fix the behavior. This was not attained, but I abandoned this solution. 2. 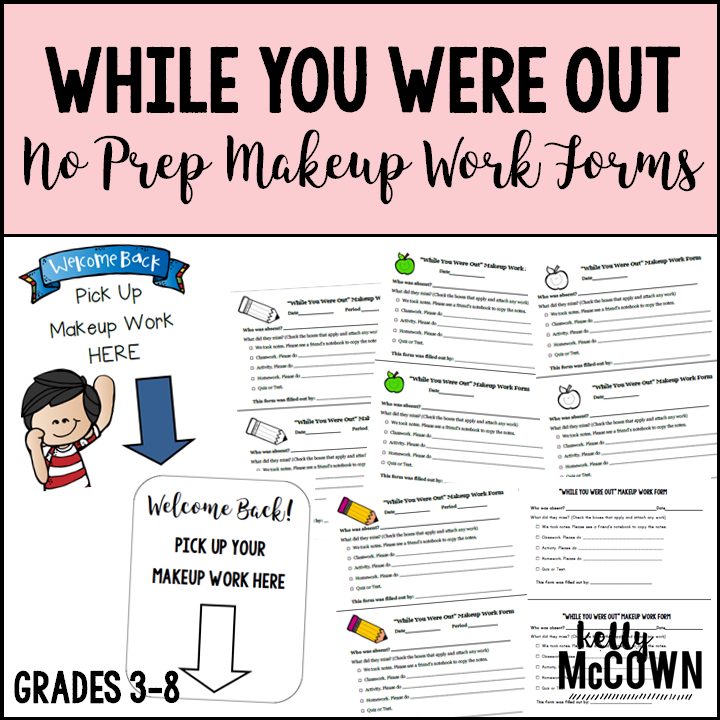 Makeup Slips for Absent Students. Absentees can become a problem depending on the school you teach it. I've work at 85% attendance rate schools and 98% attendance rate schools. The system that worked best after years of perfecting was the "While your Were Out" slips. I print multiple sheets of absent work forms, assign other students to fill them out at the beginning of class for absent students, and then those students place the slips in the absent box. Minimal work required for the teacher, just print and go! You can make your own slips or Click HERE to download these. 3. Progress Report Printouts. This has been the best solution for my students. Students are able to see what they are missing (I highlight the zeros and missing assignments that they can turn in before the end of the quarter). 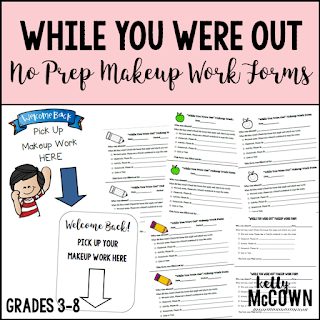 Parents are required to sign the progress report printout for homework or extra credit (depending on how I want to assign the grade for being responsible and completing all the work). Parents appreciate the support and reminder of how their student is doing. This also helps keep students accountable and on track for success. 4. Assign Less Homework. After assigning too many homework assignments one year, I made a homework calendar and a plan to only assign 1 homework assignment a week. You can CLICK HERE to read about why I don't grade homework after school and how you can too. I write down the dates when I will collect and grade any homework (less than 9 a quarter) in my planner. It makes it simple to keep track of all the assignments. If you need a planner I highly recommend Occolo planners. This is the exact planner I use. Keeping track of assignments and tests grading helps keep grading simple and planned. If I haven't planned to grade it, I always ask "does this have academic value?" If it does and needs to be graded then I add it to the list. Assigning less will help you grade less, and in return you will not have to look for as many missing assignments. 5. Assign Less Problems. Along with assigning less homework, I took the 10 problem challenge. Only assigning 10 math problems which was the equivalent of 20-30 minutes of work for students. This greatly improved the percentage of students who completed the assignment. It was more manageable for them to complete and achieve success on an assignment. I hope these homework solutions are making you reflect on your teaching practices. What could you do to improve the rate of homework return? How could your students have a better attitude about homework? What would be easiest for you to maintain and keep up with grading? 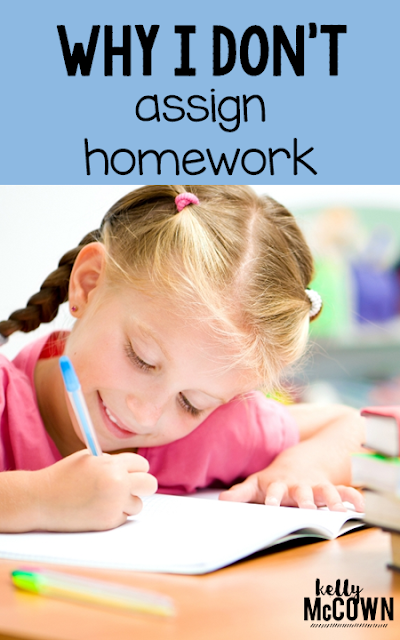 Homework doesn't have to be difficult or time consuming. Make it relatable and effective for students.